Unlike candles that burn with a wick, Wax Melts are placed in a melt warmer and slowly warmed from a tea light or electric heating source. Our soy wax melts use a 100% soy and botanical oil blend that has excellent scent throw and exhibits vibrant colors. We add the same phthalate-free scents that we use in our candles so you can rest easy knowing these harmful chemicals are not being released into the air in your home, office, or wherever you choose to use our product. Give your home or office a boost of flameless fragrance with Soy Wax Melts. 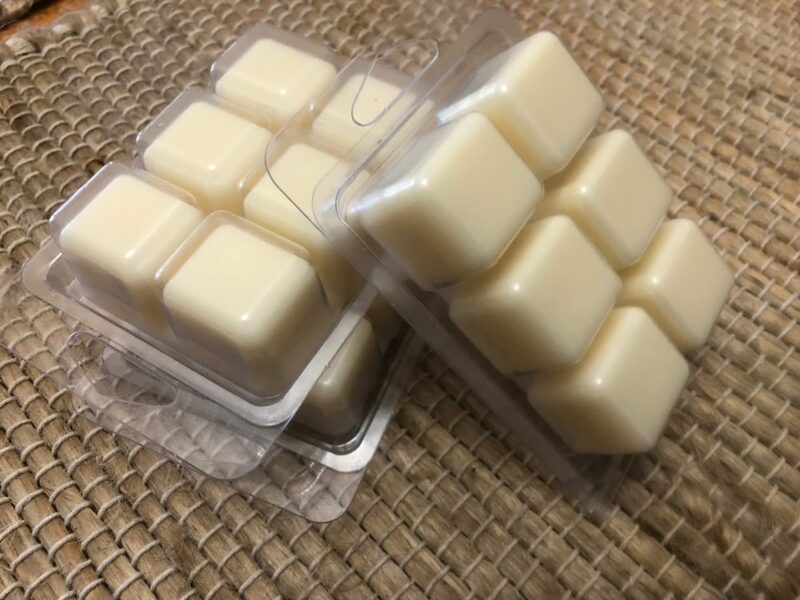 Soft cubes of scented soy wax melt releasing true-to-life fragrance – filling your home with a scent of your choice. Unlike candles that burn with a wick, our Soy Wax Melts are placed in a melt warmer. Slowly warming our soy wax melts with a tea light or electric heating source will release the fragrance into the air. Our melts use a 100% soy and botanical oil blend that has excellent scent throw and exhibits vibrant colors. We add the same phthalate-free scents that we use in our candles therefore you can rest easy knowing these harmful chemicals are not being released into the air in your home, office, or wherever you choose to use our product. Our soy wax melts are easy to use with any electric or non-electric scent warmer. First of all, always read and follow the instructions provided with your warmer. Start by removing one soy wax melt from clam shell and place it in the center of a clean and empty warmer bowl. To prevent overfilling, only use one melt at a time. Turn your warmer on. Your warmer will melt the soy wax, releasing the fragrance into air. In the event that the soy wax melt no longer releases fragrance, turn off your warmer to cool. Pop the hardened wax out of the warmer and dispose. Finally, refill the warmer with another soy wax melt cube from the clamshell. Be sure to try all of our amazing scents! Is your favorite scent, color, or container currently out of stock? Give our Create Your Own product a try and we will custom create your candle with your favorite scent, color, and container.